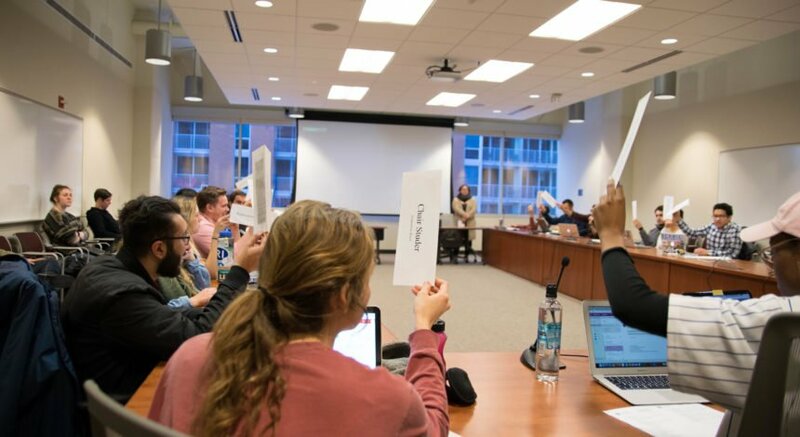 Student Services Finance Committee voted on the eligibility of Adventure Learning Programs and held the eligibility hearing for funding for the University of Wisconsin Black Student Union Monday. WBSU president, Tashiana Lipscomb and vice president Morgan Hines presented their case for general students services funding eligibility to SSFC. 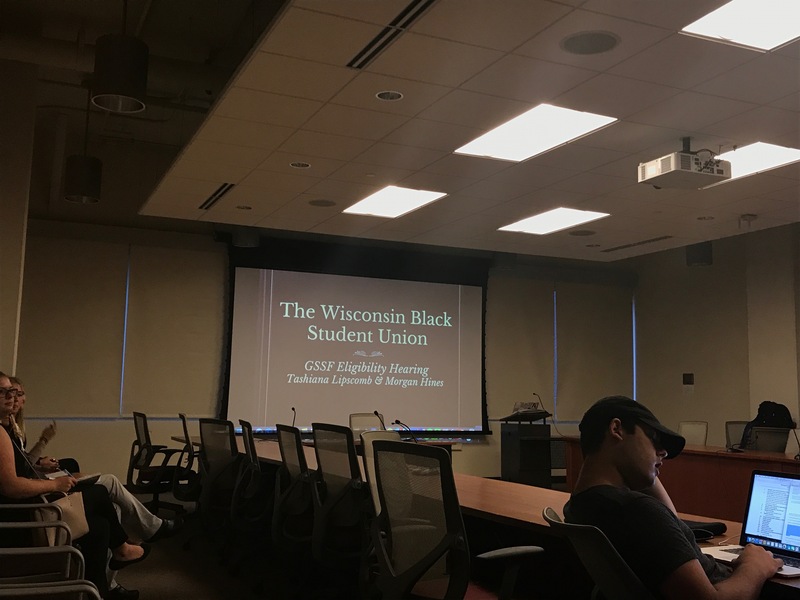 “The Wisconsin Black Student Union has always served as a resource for the recruitment of African-American undergraduate and graduate students to attend UW-Madison, a predominantly white institution,” Lipscomb said. In their presentation, Lipscomb and Hines highlighted both the core and supportive programming offered by WBSU, which are requirements for GSSF eligibility. Lipscomb said WBSU’s core programming includes Black History Month, Women’s History Month and “Talk To Me Tuesdays,” which are facilitated dialogue sessions about social issues. WBSU’s supportive programming, Lipscomb said, includes Melanin Fest, the Ebony Ball and “A Seat At The Table,” which is an event aimed at encouraging students to be productive in their academic and extracurricular pursuits. Hines said WBSU differs from the Black Cultural Center on campus in that WBSU is student-run. This makes WBSU unique, for it incorporates student voices and needs into its programming. “We are the bridge between the students on campus and the faculty,” Hines said. 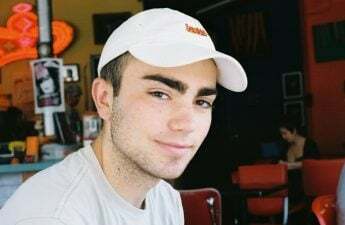 In SSFC’s questioning on WBSU’s GSSF eligibility, Rep. Max Goldfarb expressed concerns over WBSU’s ability to meet the demands of students on-request, which is a requirement for GSSF-eligible student organizations. Lipscomb said on-request services are met by WBSU in the form of additional meetings or facilitated dialogue sessions outside of the “Talk To Me Tuesdays,” which are offered as a part of WBSU core programming. 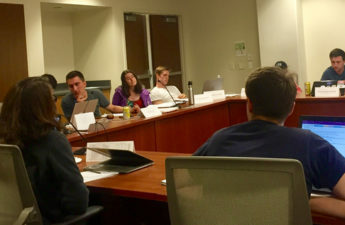 SSFC Chair Jordan Gaal also voiced concerns that WSBU needed office hours, a requirement placed upon any student organization with an office in the Student Activity Center. “Groups that hold offices in the Student Activity Center are required to hold a number of office hours,” Gaal said. Lipscomb pointed to these required office hours as evidence of WBSU’s on-request availability, which is an important part of its GSSF eligibility. SSFC will vote on WBSU’s eligibility on a later date. Also at Monday’s meeting, SSFC granted ALPs eligibility status. 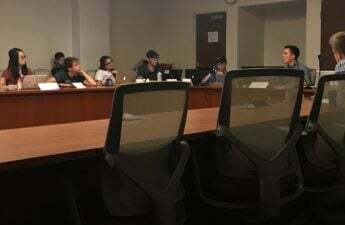 ALPs had a contentious eligibility hearing last week, in which multiple SSFC representatives raised concerns about the possibility of UW students paying extra or non-students being covered by segregated fees. This week, in 10-0-3 vote, SSFC voted to grant ALPs eligibility status.